Can you believe it’s already the middle of the week?! Get over the mid-week hump by making pips from EUR/JPY and USD/CAD’s patterns! EUR/JPY just left the 125.00 psychological area, which was right smack at an ascending channel support on the 1-hour time frame. What makes the bounce interesting is that it might have been influenced by the 100 and 200 SMAs hanging around the level. 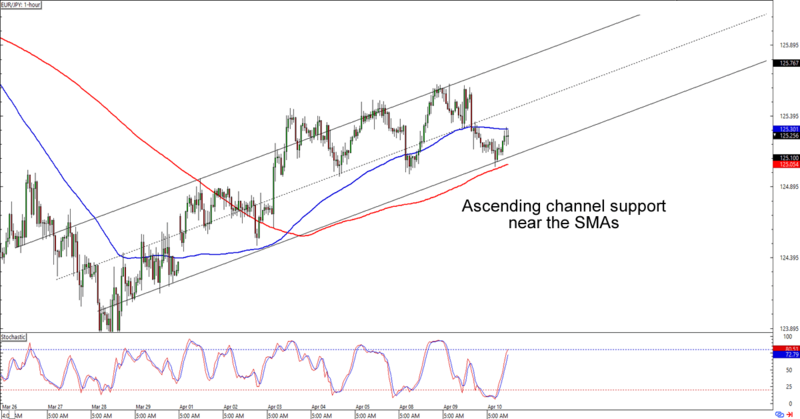 Will the SMAs and the channel be enough to extend the euro’s rally? Buying at current levels could still give you a good reward-to-risk ratio especially if you aim for the previous highs above 125.50. If you’re not sold on an extended euro rally, however, then you can also use today’s support levels as invalidation points for your short trades. Just make sure your trading plan for your breakout trade is tight! I spy with my eye a potential descending triangle in the making! USD/CAD is having trouble making new highs even as the bulls are successfully defending the 1.3290 support. Are we looking at a future downside breakout over here? 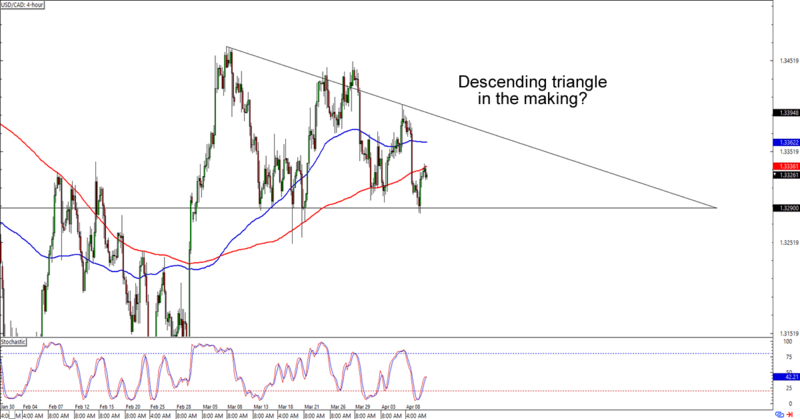 Or will the pair break higher as some descending triangles do? USD/CAD isn’t hitting its support or resistance yet, so y’all still have time to draw your trading plans if you’re planning on trading a breakout. Good luck and good trading this one!